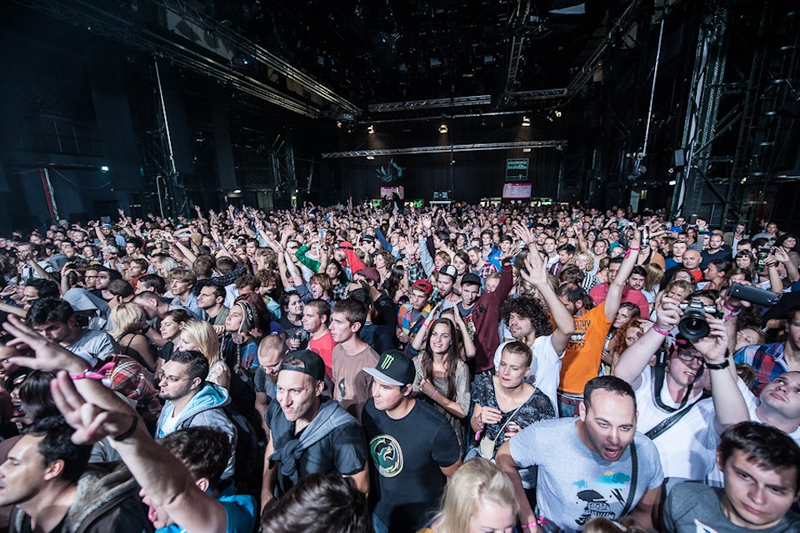 Yesterday night the Electronic Beats Festival blossomed in Budapest. Hungary’s capital is divided by the Danube river into two parts: Buda and Pest. Over in Buda, cultural complex Millenaris hosts a crowd of 1200 young and chatty people, waiting anxiously for the bands—who started on time at 9 pm with local act Volkova Sisters. 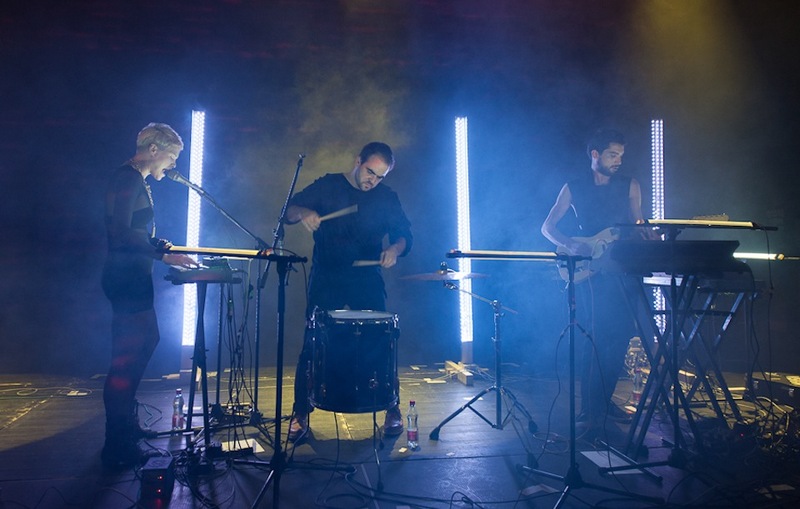 Though the venue was half-empty at this time, the Budapest-based trio soaked the club with their industrial-flavored dark sounds: this is no warm-up band. 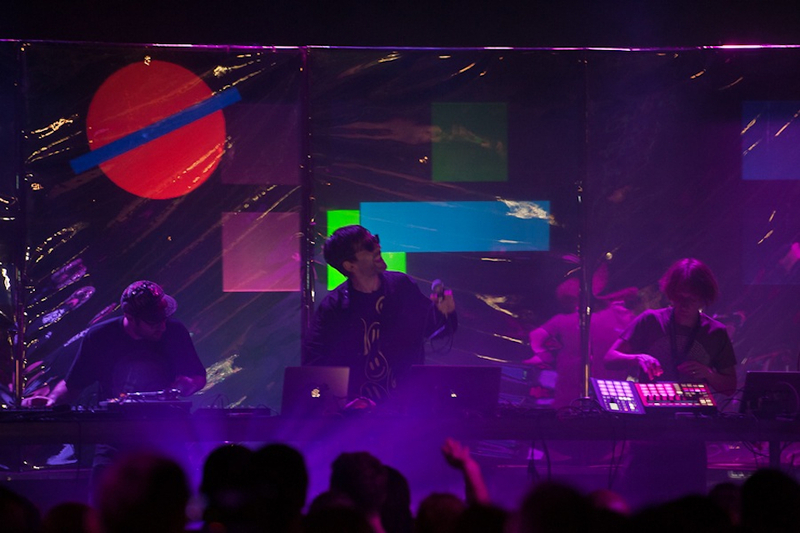 Scheduled next was Native Instruments‘ very own superband Mostly Robot, which consists of Jamie Lidell + DJ Shiftee + Tim Exile + Mr. Jimmy + Jeremy Ellis. 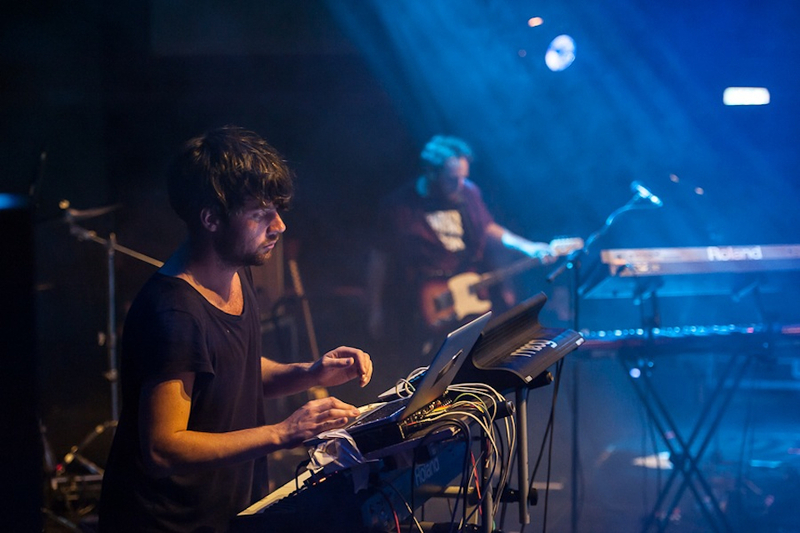 Backed by some very well-composed video animations from the hands of the Berlin art-collective Pfadfinderei, the five musicians showed what a good live show in 2012 is all about. With Jamie Lidell as the driving force, the band (who were performing for the third time) kept the crowd’s attention…even their new version of Aphex Twin‘s ‘Windowlicker’ was entertaining. Afterwards, local mix-meister DJ Crimson took over and played a decent set of house classics until the time came for Canada-via-Berlin outfit Junior Boys, who also performed one brand new track, which will be released soon as a 12″. Stay tuned for more details on this; our interview will be published sometime next week. 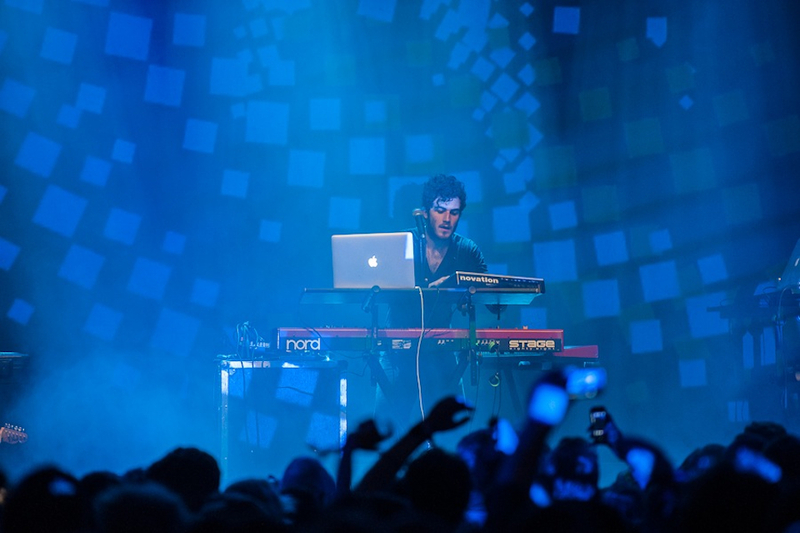 Shortly after midnight, New York’s Nicolas Jaar and his live band took over. While it was more atmospheric than a danceable live show, the crowd loved Nico’s live set very much. 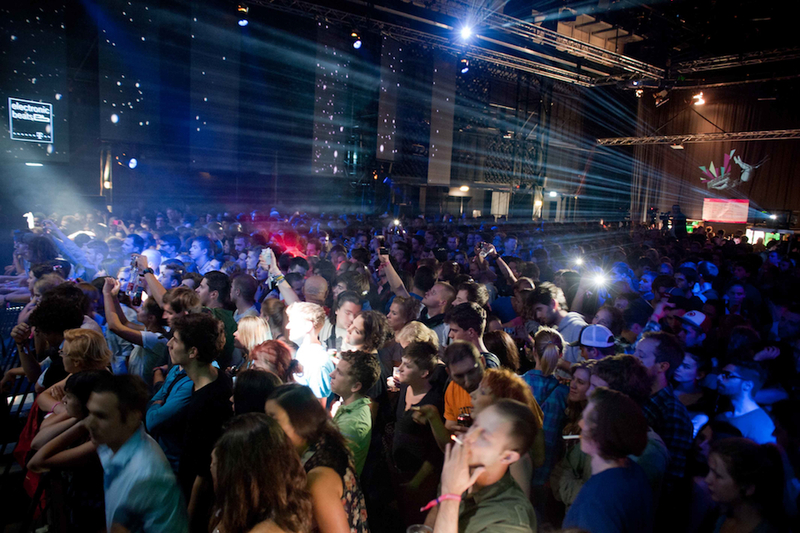 Then it was time for the last act of the night: Modeselektor. There’s no need to introduce the Berlin duo to you at this point. When the boys dropped some 4-to-the-floor beats people just went nuts (including the whole EB team was attending this event). 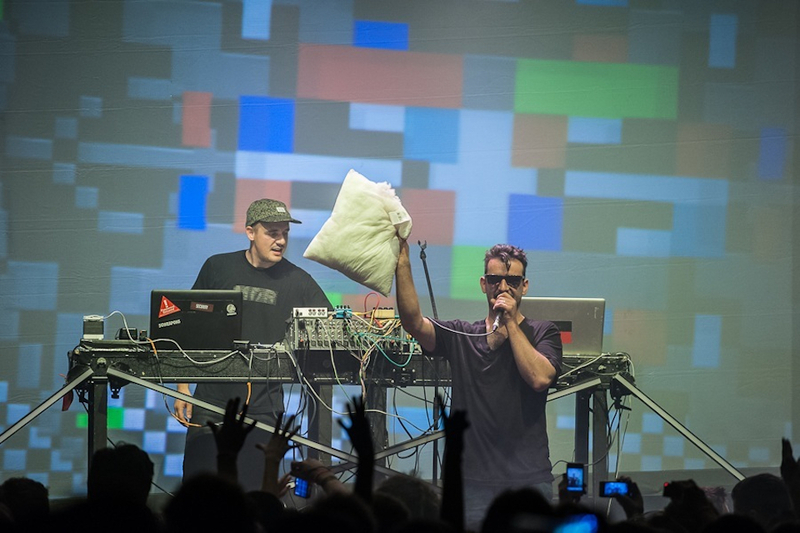 As if the chaos wasn’t already sufficient, Gernot and Szary started a huge pillow fight. Next thing I can remember is waking up in my hotel room, looking if my pillows were all in shape and heading downstairs to the lobby to write this review. Köszönöm, Budapest. That was fun. For more photos from EB Festival Budapest, check out our Facebook gallery, and also check out your shared photo booth pictures!